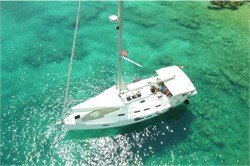 Kas is the meeting place for a great deal of yachties who come here for the sun and sailing conditions. Apart from offering various sailing opportunities and various routes to get there, Kas also has a good sailing infrastructure which manages to keep those who come here in a boat satisfied. 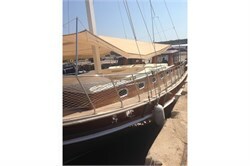 Kas is just as important to YachtBooker as it is to you and that’s why we offer a long list of vessels. In order to access those yachts, just head on to the upper left corner of the page on the menu labeled YachtFinder® and click on the boxes in order to enter the criteria needed for your search. The more criteria you enter, the more refined your search results will be. If you don’t know what criteria you’re searching for, just click the arrows to get a list of suggestions in the drop-down list. 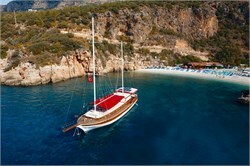 Keep in mind that there are more than one locations to go to when visiting Kas. enthusiasts can read descriptions of neighboring resorts in Kas by clicking on the article list located in the right corner on top of the page. Each link is an article structured according to the main needs of a seaman: arrival, what to do once you get there, and what are the most important activities and celebrations.